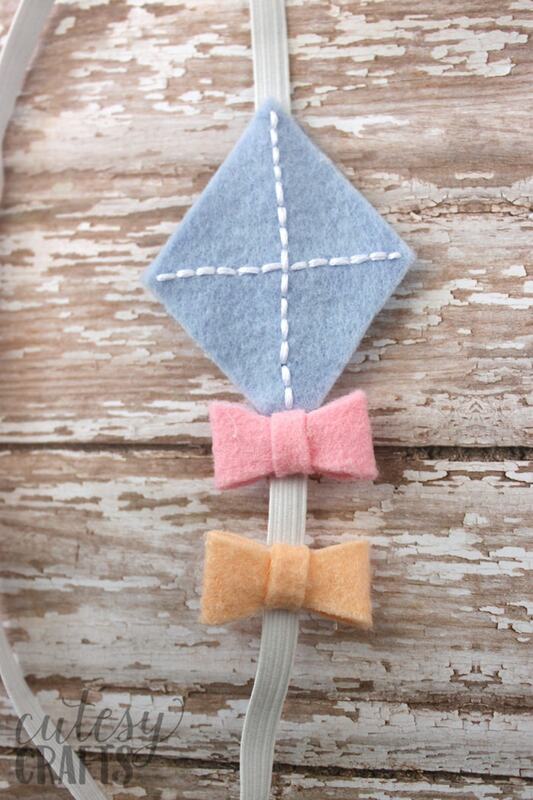 I was at a party this summer, and saw a little girl wearing the cutest little kite headband. 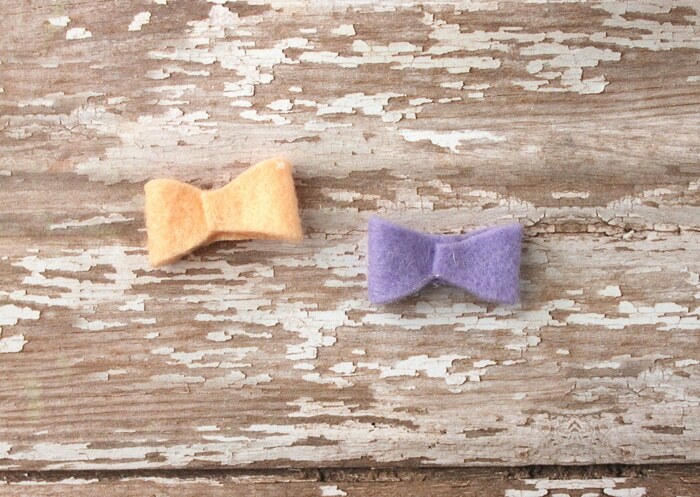 I was immediately inspired to make some out of felt for my girls. 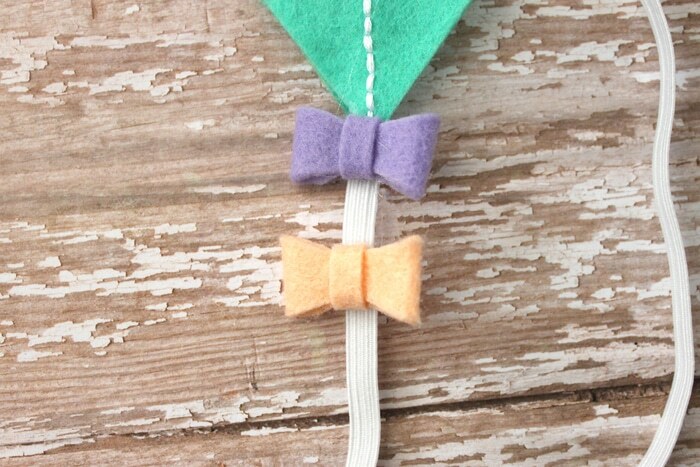 These felt kite headbands turned out so cute and make a really fun summer accessory! My girls love wearing them! 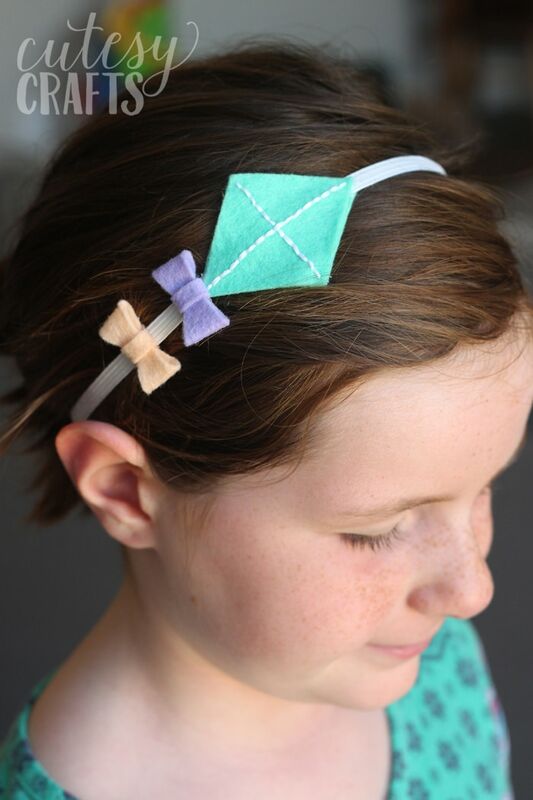 The kites can be glued onto elastic or a regular headband, depending on what your little girl prefers. felt – I recommend using wool or a wool blend. I used National Nonwovens wool blend in colors Robin’s Egg 0580, Blush 1601, Pink 0909, and Field of Lilacs 0596. 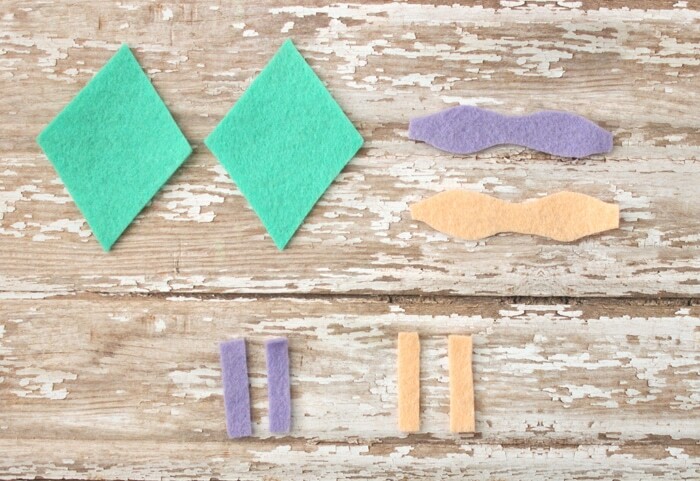 First, cut out your pattern pieces in felt. 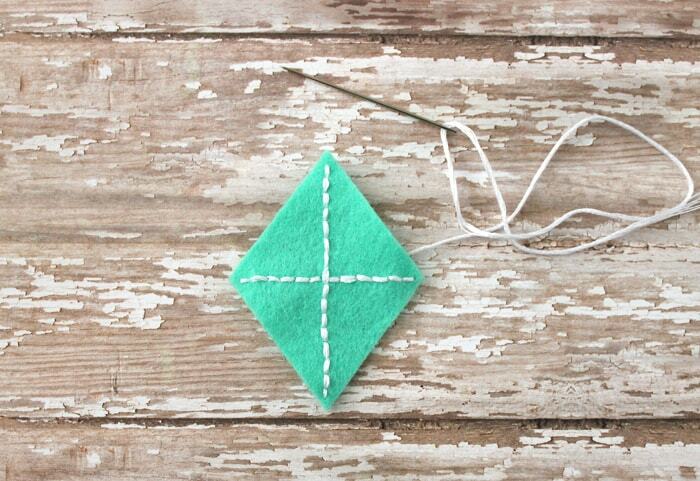 Take one of the diamonds and stitch a cross in the center, so that it will look like a kite. 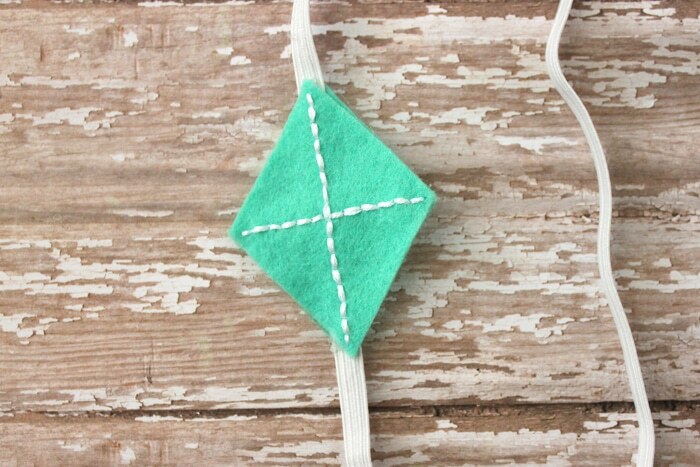 Use a full strand of embroidery floss and a back stitch. 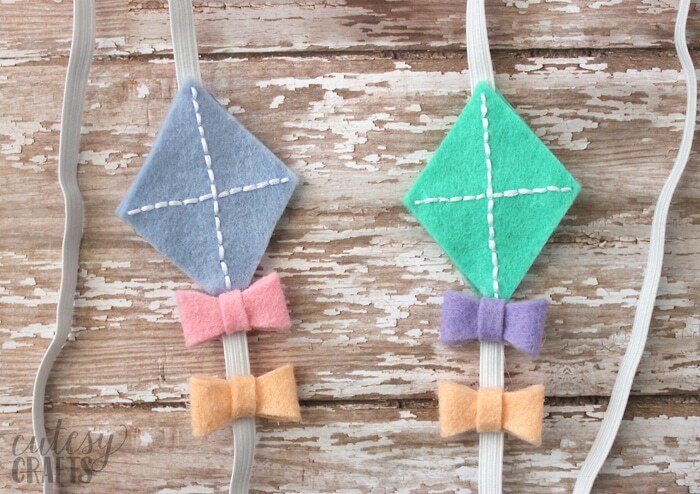 Fold and hot glue the bows like below. 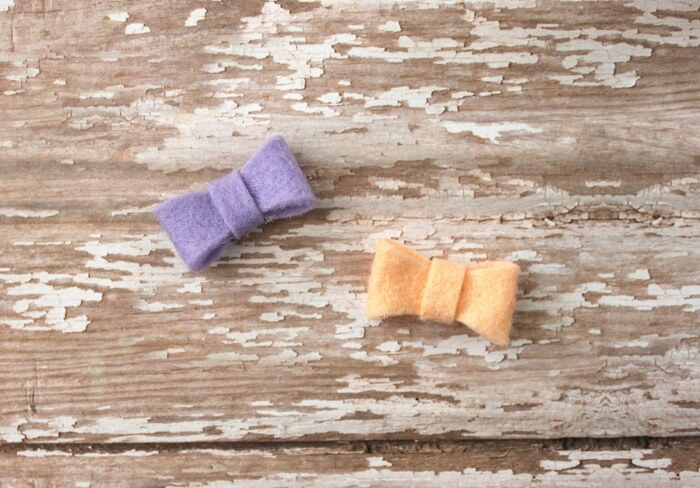 Wrap a small strip of felt around the center of each bow and secure with hot glue. 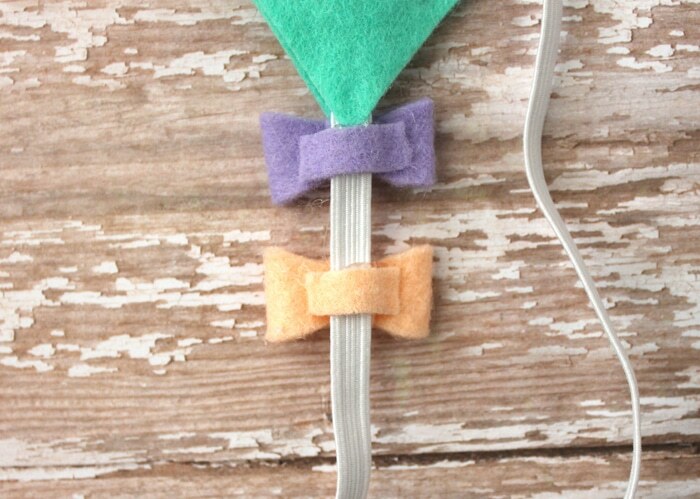 Cut a piece of elastic to fit your child’s head. 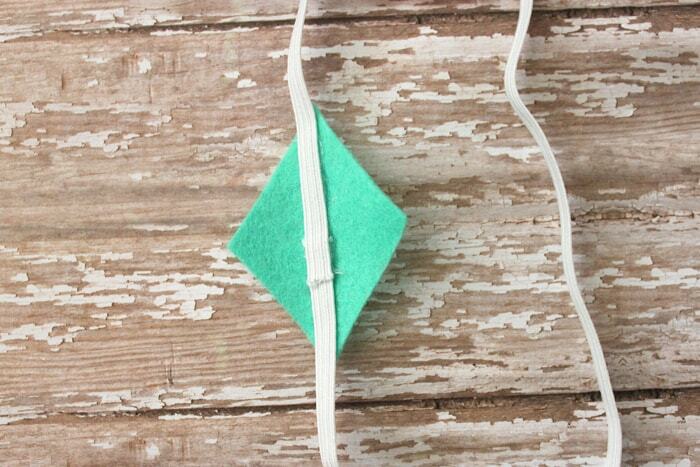 Hot glue your elastic onto the other diamond, overlapping the ends. Glue the embroidered diamond on top, sandwiching the elastic in the middle. Hot glue the bows on the elastic, below the diamond. 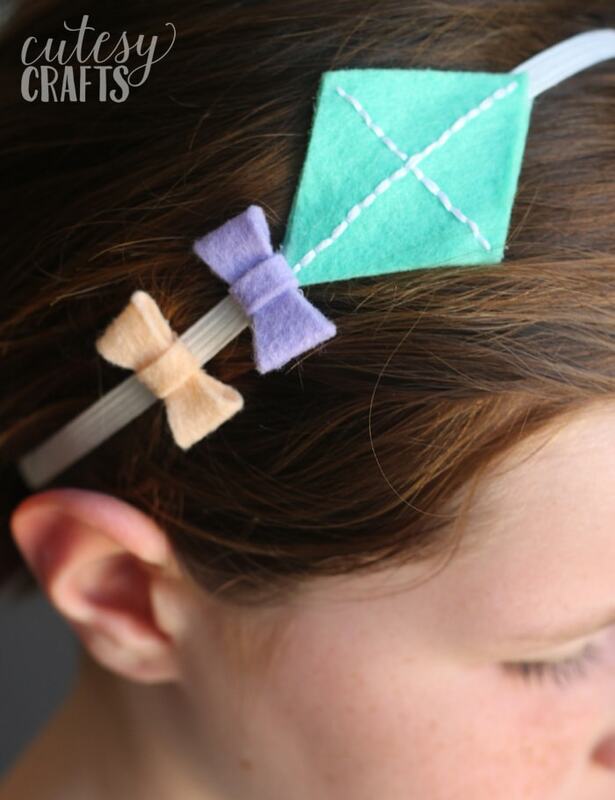 Glue the smaller strips onto the back of the bows, over the elastic. 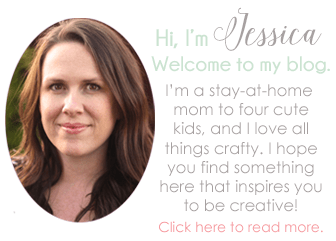 For more fun felt crafts, go here.